I <3 this picture! Reminds me of the type of guys I work with. So very cute. omg!omg!omg! ITS shi-chan!!! I love YOU shi-chan!!!!! thank you soooooooooooo much for the scan!!!!!! Oh my, he looks almost..seductive... I certainly wouldn't mind having him for MY sensei, tee-hee! he's my fav from FB besides Ayame but he's sooooooooooooo cool!!!!!!!!!! He's such a bachelor ne? Maybe we should make a reality show with him, and I'd really be there as the first contestant! 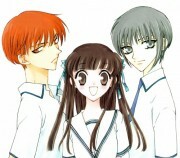 I love him when he's in a suit, Tohru was completely right when she'd said that! This captures shigure's character so well. It's so simple, but says so much. I love the way he tortures the editor. Hehe. Thanks for the scan. 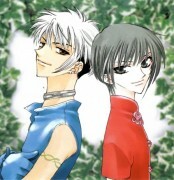 how come shigure has gray hair at the beginning of the series, but torwards the end he has black..? 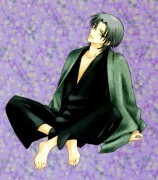 Shigure is soooo cool. He's awesome. 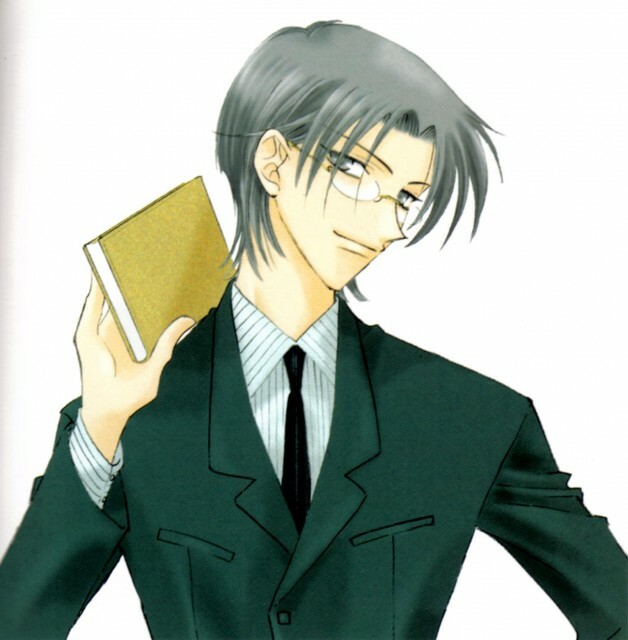 SHIGURE LOOKS MORE HANDSOME IN A MODERN GARB! HIS SPECS ARE SOOO FITTING HIM!